The tech world has fun on April Fools Day. Check your Instagram sharing settings. These stories, and more, in today's Morning Social Media Newsfeed. 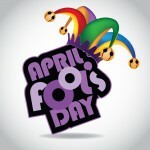 April Fool’s has become a day for the Internet, and as with any event, marketers are interested in capitalizing on it. It’s not all just for laughs. LostRemote Getting in on the prank-filled day, VH1 issued a press release announcing a new slate of programming titled “Feline Fridays” – versions of the network’s most popular reality shows starring cats – complete with descriptions and teasers. The promos were featured on-air throughout the day, and are sure to have fooled some of the network’s fans. The Next Web Tumblr pranked a lot of its young userbase after it added a button to allow users to upgrade to “Tumblr Pro” on its microblogging service. Clicking to upgrade to the free service, users are shown a video designed to inspire creativity within… and are ultimately rewarded only with a hat for their avatar. The Huffington Post A week ago, American Eagle Outfitters released a clothing line for dogs called American Beagle. Tuesday, they revealed it was meant to be a prank, but the response to the announcement was so great, they are now going to produce a doggy clothing line that will be ready by Christmas. CBS News Google, the prankmaster of the tech world (remember Google Nose? ), started the festivities earlier on Monday when the Google Maps division announced that it had a new job opening. The title? Pokemon Master. Birchbox, the fashion and beauty website, released a “new” version of its app. Including features such as the “Insta-product ID,” mobile “shaving support,” and the “Self-EAZE” Glamour shot generator, it promised to pack each selfie with a superpowered punch. Chegg, an academic company that is known for its online textbook rentals, offered an online course in “Mastering the Art of the Selfie,” a three-step process in creating the perfect selfie. If you don’t know about an Instagram setting that I found out about only on Tuesday, then the app may be oversharing on your behalf, posting to your Facebook timeline each time you like a photo on Instagram. Unless you are following a collection of the most dazzling Instagram photographers and are very judicious with your likes, this type of sharing probably isn’t resulting in a positive contribution to Facebook. Facebook will announce its financial results for the first quarter of 2014 after market close Wednesday, April 23, with a conference call set for 5 p.m. ET/2 p.m. PT that day. A live webcast of the earnings call will be available on the company’s investor relations page, along with a press release, financial tables and a slide presentation. Stephen Colbert has fired back at the Twitter backlash. The popular television host recently found himself on the receiving end of criticism following a racially insensitive tweet that was posted on Comedy Central’s Twitter account @ColbertReport late last week, causing a number of Twitter users to rally to #CancelColbert. Twitter is eyeing the European TV market. The company has acquired two European startups that work with the broadcasting industries in France and the U.K.
Eat24’s complaints highlighted tensions among brands, users and Facebook itself over which messages, of the billions posted daily, users should see on what Facebook calls the news feed. Brands want to get a message out. Users want to catch up with friends and family. And Facebook wants to keep users on the service as long as possible to make money.